“Thus we have a situation today of three great keyboard driven bands that are no more. The Nice, ELP and PLP. In 1995 I played with Lee Jackson and Brian Davidson and we were going to form The New Nice but due to lack of financial backing it didn’t happen. For those in the progressive rock community Pär Lindh is considered a keyboard wizard – so much so that he was chosen to play keys for the reunion of the legendary Nice (a prestigious position only held by keyboard visionary Keith Emerson) With the release of several highly acclaimed albums, the Pär Lindh Project band has garnered worldwide acclaim. After original lead vocalist Magdalena Hagberg sadly passed away in 2007, and a subsequent hiatus by the band, Pär felt the time was right to record and release his next album and recruited the exquisite vocalist Alan Lewis, former Alaska member, who is the most recent vocalist with American prog legends Starcastle. Lewis also adds his tasty solid drum work to the mix. ‘Time Mirrors’ is a true masterpiece in progressive rock and has been garnered critical acclaim across the planet. The album was nominated for the ‘Best CD of 2010’ by the Italian Prog Awards. Sweden – Possibly one of the most talented composer and keyboardist to emerge from Sweden, Pär Lindh will be releasing a new classical CD titled ‘Three Christmas Concertos’. For those in the progressive rock community Pär Lindh is considered a keyboard wizard – so much so that he was chosen to play keys for the reunion of the legendary Nice (a prestigious position only held by keyboard visionary Keith Emerson). With the release of several highly acclaimed albums, Pär Lindh has garnered worldwide acclaim. And now, for the first time, he has released a purely classical Christmas album! This is the first release by Pär’s new record label based in Sweden called NORDVERK CLASSICAL MASTERWORKS. Next release is due for early 2015. You will find on this album a new work, which has been predicted to become a future classic, as well as two well-known classical Christmas concertos played in such a way as to give listeners who are familiar with this music a possibility to hear it performed in a new light. 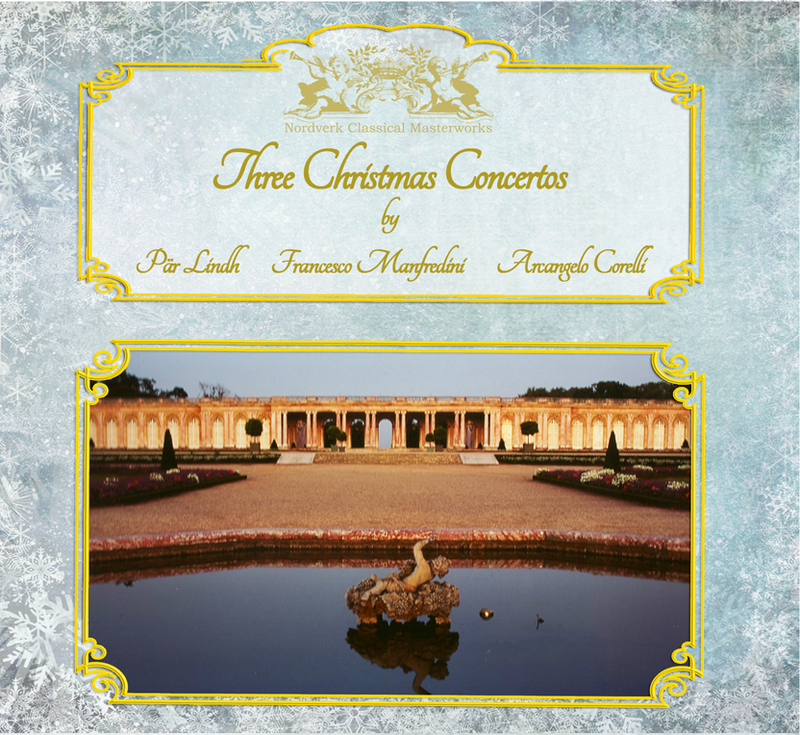 ‘Three Christmas Concertos’ includes the first ever recording of Pär’s concerto ‘Then Svenska Julkonserten’, which was recorded winter 2013/2014.